Jackson Station (aka Jackson/Dearborn) is centrally located in Downtown Chicago on the “L” Blue Line. It’s a major station for commuters and visitors alike, as it’s in close proximity to office buildings as well as recreational attractions. Jackson Station was recently renovated to resemble the Jackson/State station on the “L” Red Line, which can be accessed for a free transfer via a pedestrian walkway. Fun fact: Jackson/Dearborn station was originally designed in the Art Moderne style with touches of Art Deco elements. 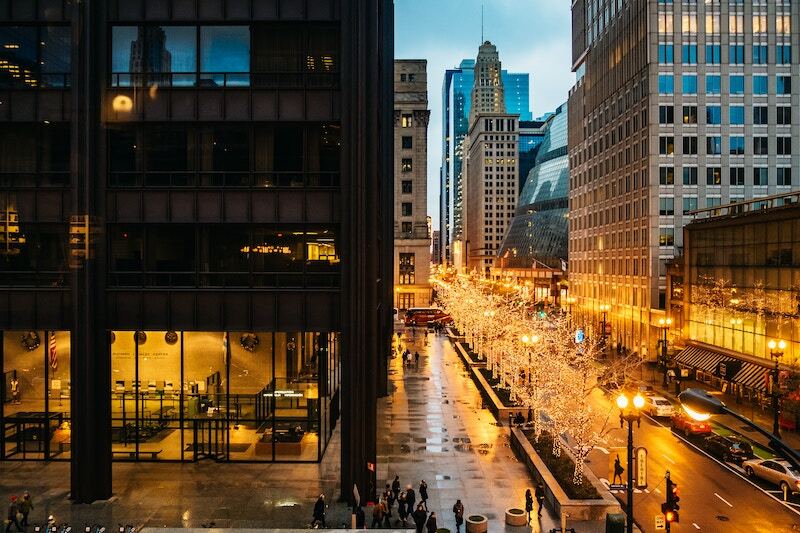 Given Jackson Station’s proximity to formal institutions in Chicago such as courthouses and municipal buildings, you may find yourself in need of bag and luggage storage near Jackson Station. Feel comfortable leaving your things with Bounce for safe and secure daily storage.